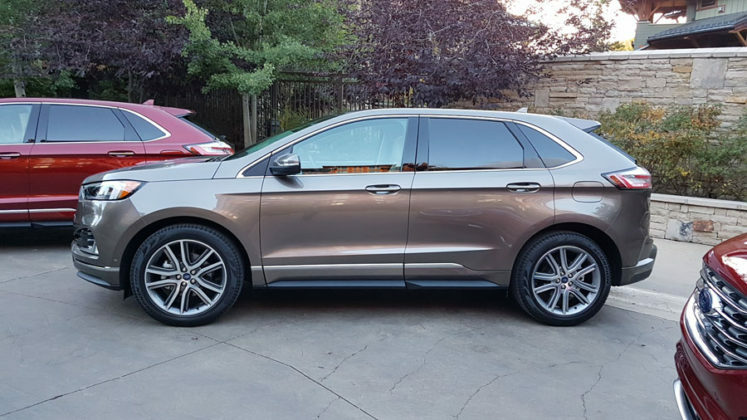 Buying an SUV can be a bitter process for anyone who loves cars and station wagons. But sometimes, common sense takes over and decisions have to be taken to, for example, provide more space for the family and everything that comes with it. 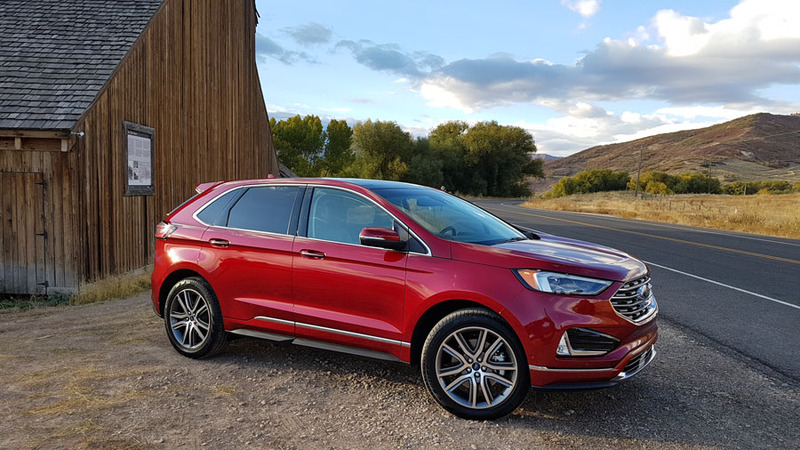 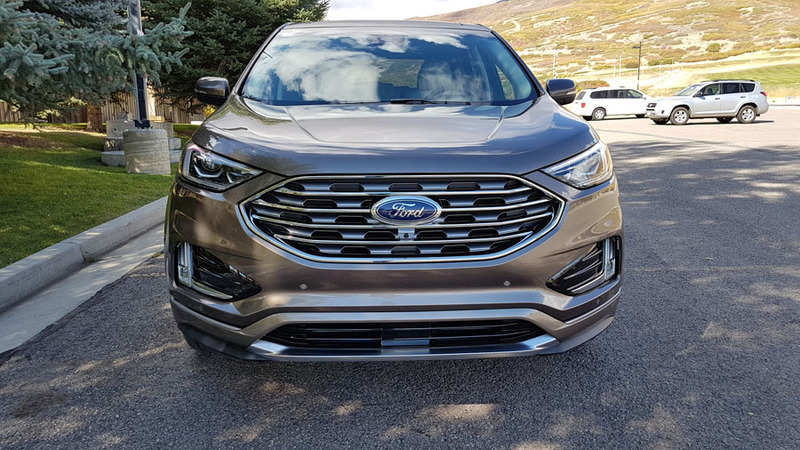 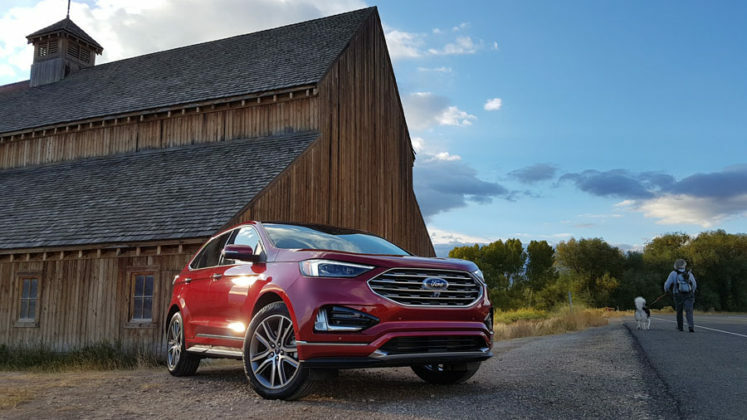 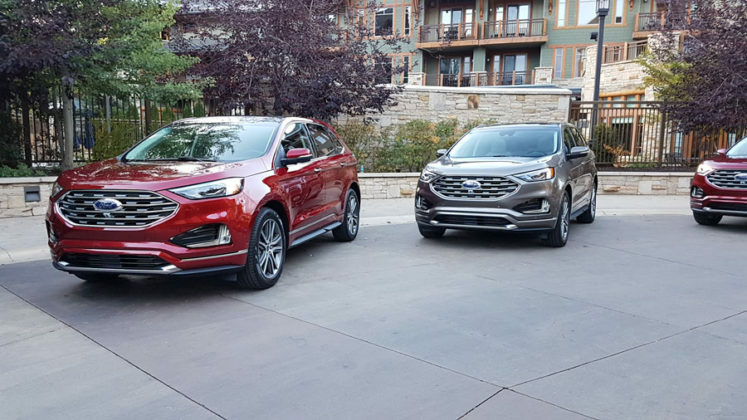 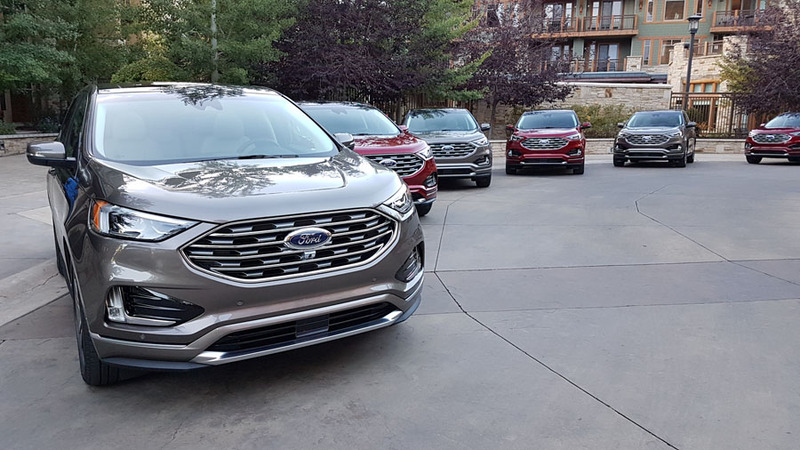 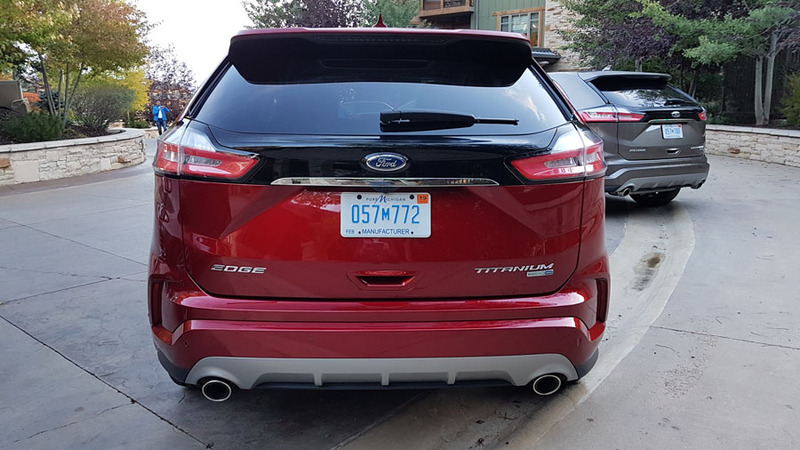 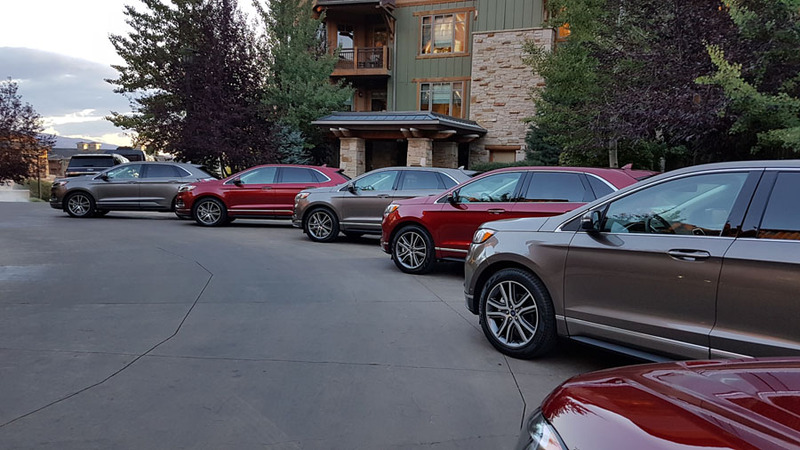 Last week in Utah, we got the opportunity to test out the 2019 version of the Edge – Ford’s midsize SUV that can tow quite a bit for its size and offers copious amounts of cargo space. Moreover, for you performance addicts that are under the gun to buy an SUV, Ford also had us take the “spicier” Edge ST for a ride. 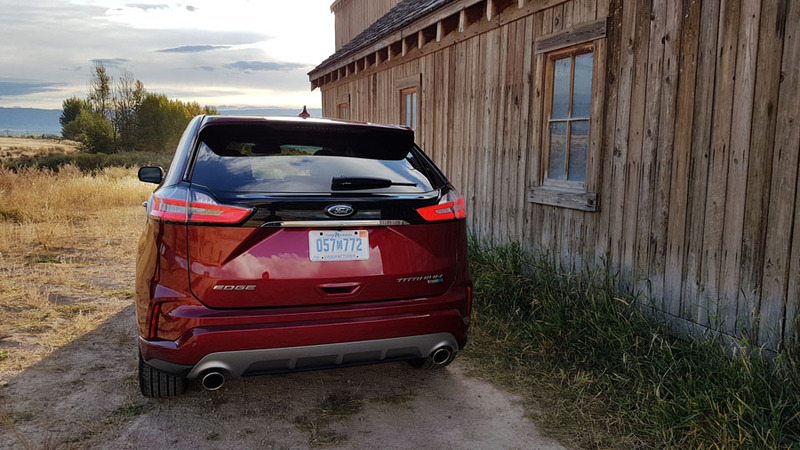 This ST variant boasts impressive specs, with 335 horsepower and 380 lb-ft of torque, along with a few performance parts – stay tuned for our review on that one. 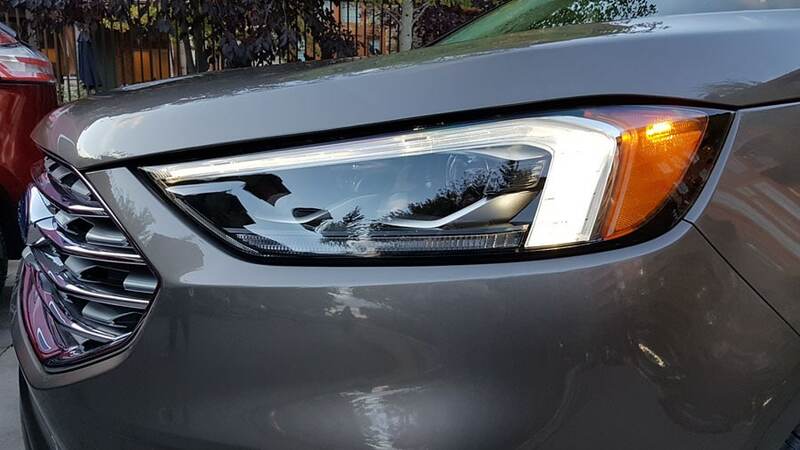 For 2019, this latest ST replaces the Sport trim, and the other trims available are SE (starting at $35,999), SEL (starting at $37,999) and Titanium (starting at $43,399). 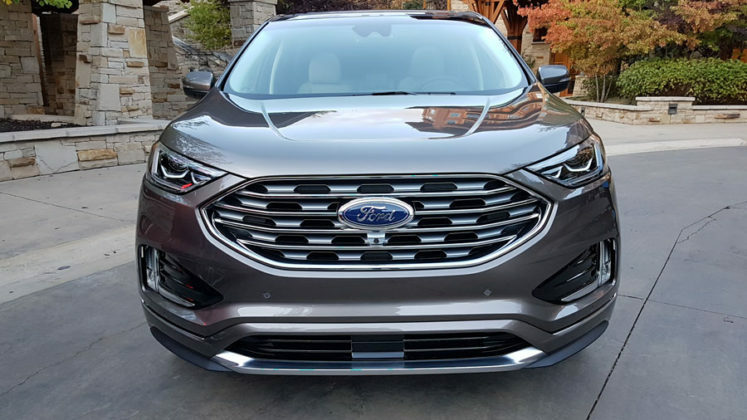 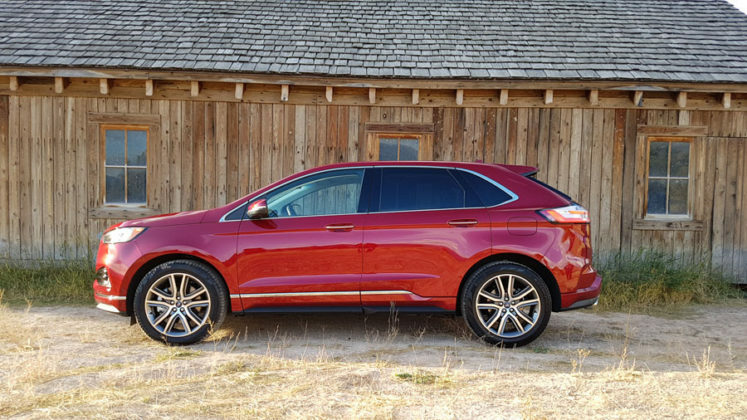 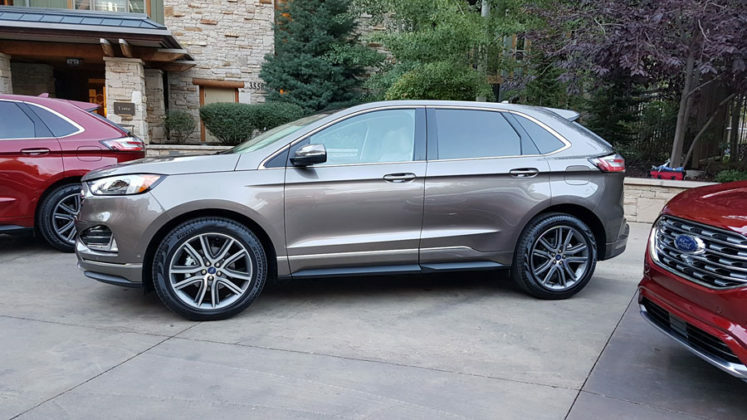 Changes to the 2019 Ford Edge are subtle. 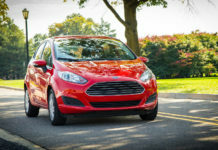 The 2.0-litre EcoBoost turbocharged four-banger is still on the menu, but it gained five horsepower and is now at 250. 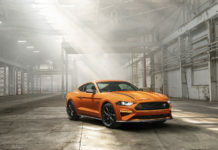 Torque remained at 275 lb-ft a new eight-speed automatic gearbox manages the power, channelling it to an all-wheel-drive system on all variants. 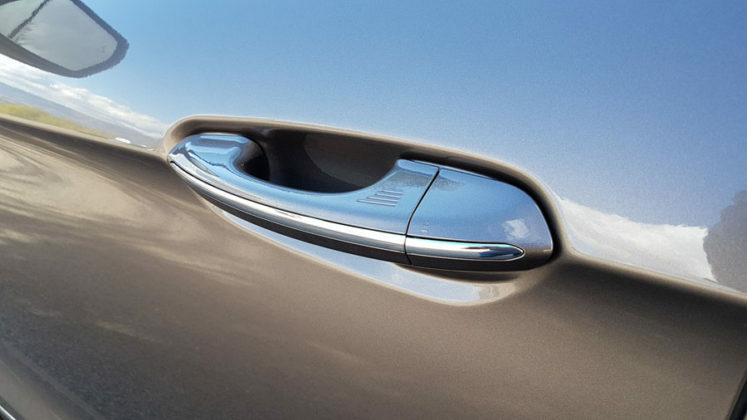 The SEL is also available in FWD. 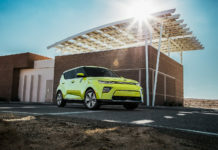 The Edge now has all-wheel-drive disconnect, this feature basically detects when four wheels are needed for more traction and can also disconnect the two rear wheels to turn the Edge into a FWD for increased fuel economy. This Ford mid-size SUV also keeps one of its strengths; trailer towing capacity, which remains unchanged at 3,500 lb. 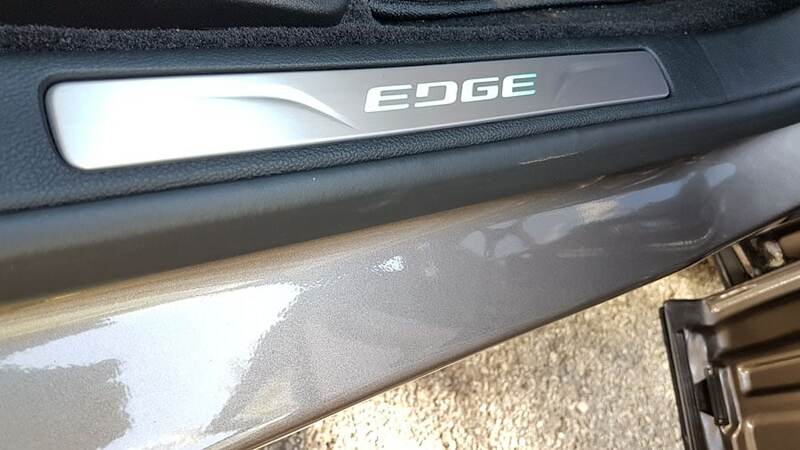 So If you’re towing a boat or ATVs, the Edge should be on your short list. 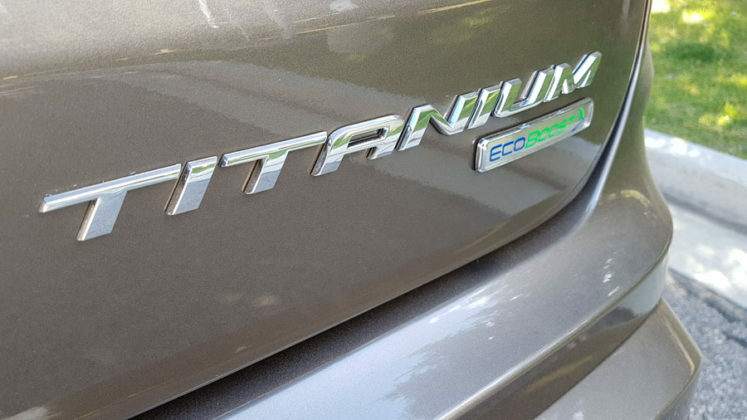 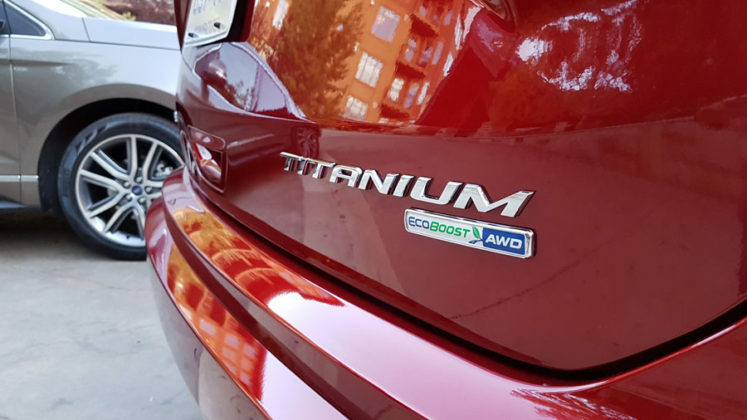 On the road, the Edge Titanium we tested offers a smooth ride, with plenty of bottom-end power and torque to get you where you’re going. 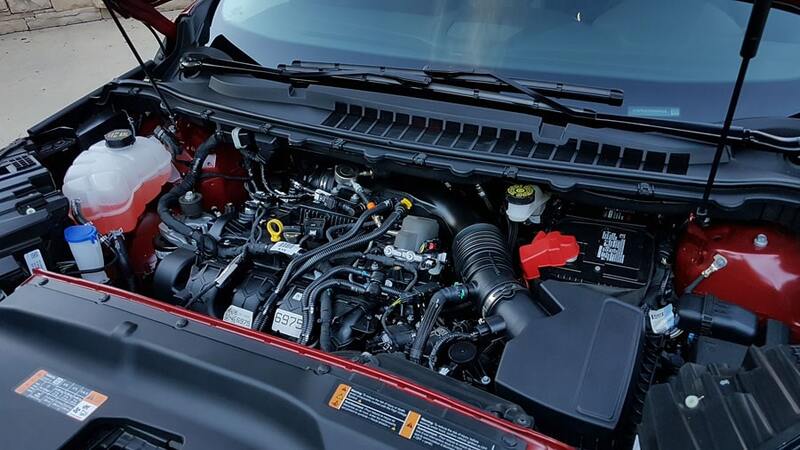 The engine can even be qualified as fun to operate – not only because of its specifications and output but also thanks to the delivery provided by the new and improved eight-speed gearbox. 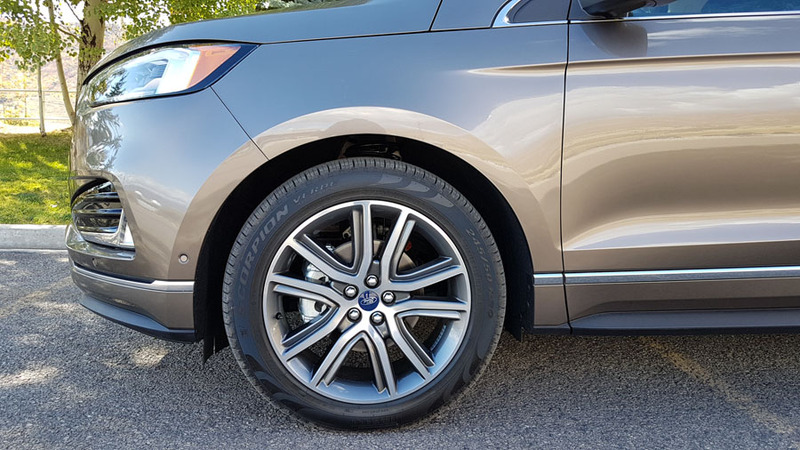 Around the corners, the Titanium does suffer from a little body roll, but the steering is on point with great feedback. Braking is stellar as well. 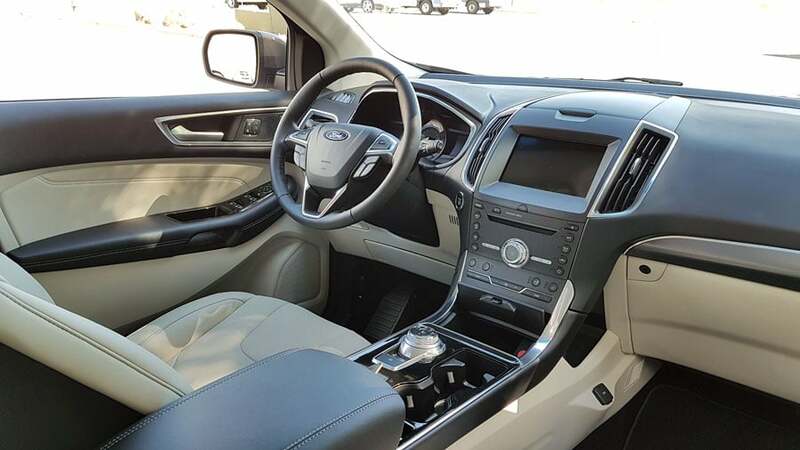 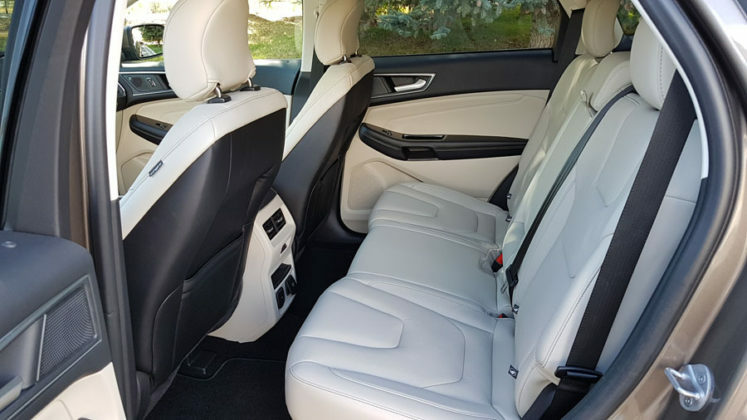 The Ford Edge is also known for its interior space. This SUV is a proper roomy option if you’re hauling a family and the endless cargo that comes with it. 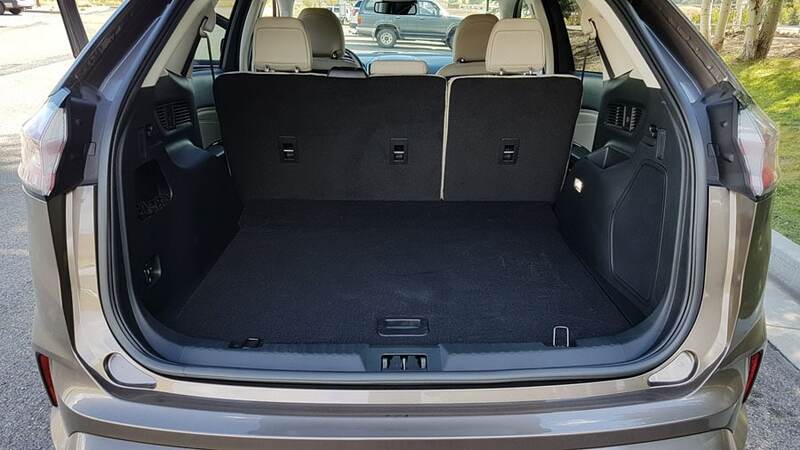 With the second-row seats up, the total cargo space is an impressive 1,110 litres. 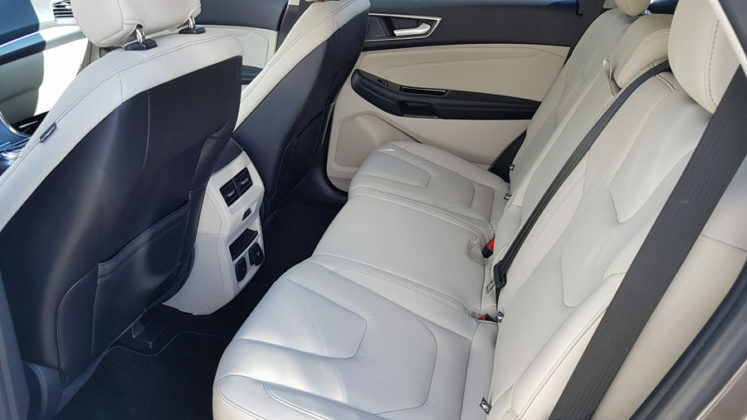 When the seatbacks are folded, this number goes up to 2,078 litres. 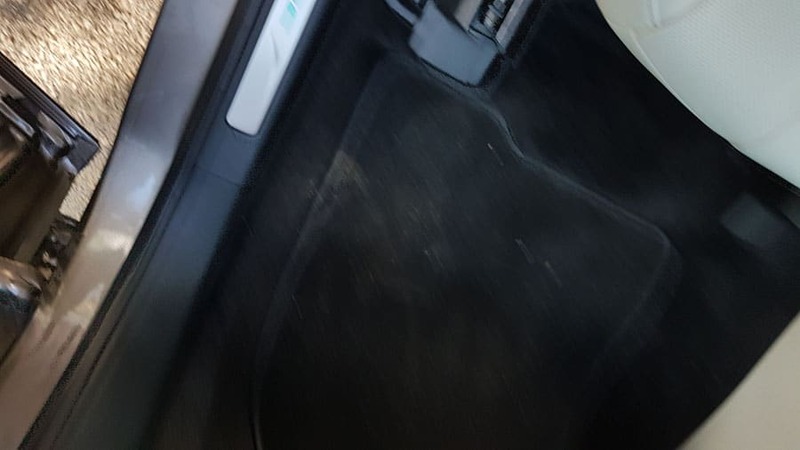 Upon climbing inside the Edge to get on the road, the driving position left us a little bit puzzled. 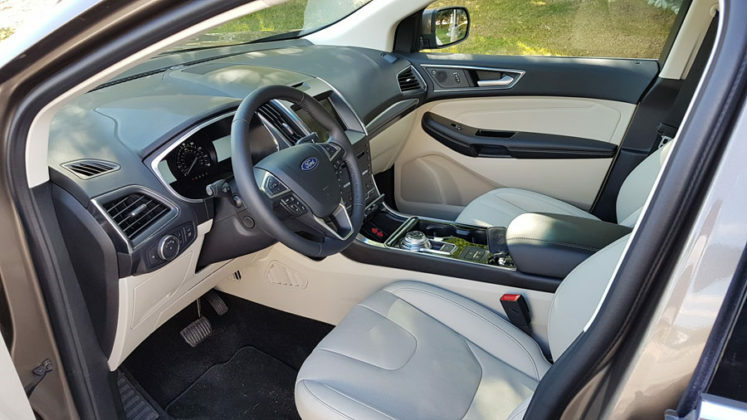 While comfort is definitely on point, it feels like you are sitting too high inside the vehicle and no matter what seat and steering wheel position you dial in, you will find yourself in an awkward position to handle the steering wheel. 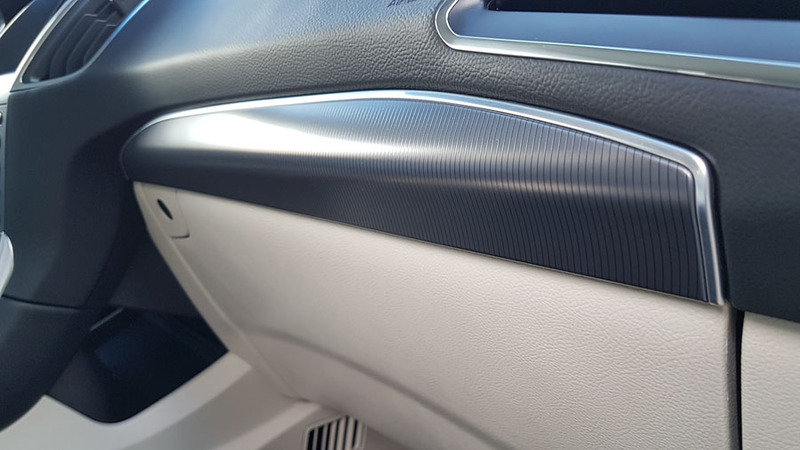 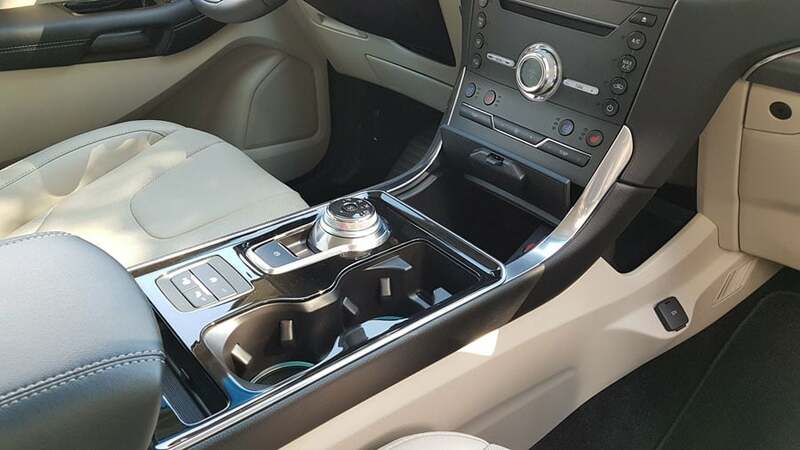 Ford as brought in a new centre console, which features a new and quite disappointing rotary shift knob that replaces the traditional lever type unit. 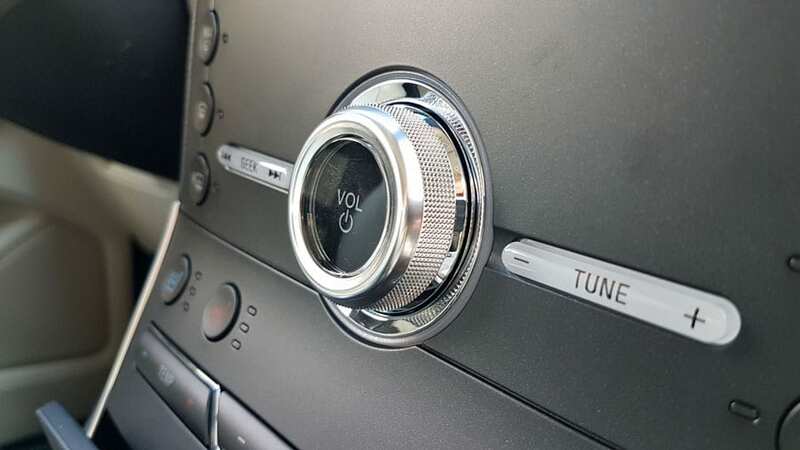 Some manufacturers have had problems with this type of contraption and it is quite polarizing, to say the least. 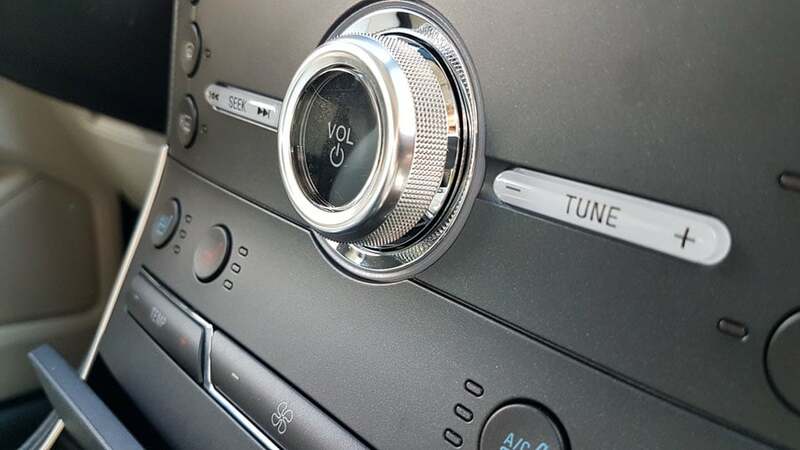 Yes, it does look sleeker and frees up some space, but sometimes it is hard to see what gear you are in, especially when the sun glares on the dial. With the lever, it is not debatable. 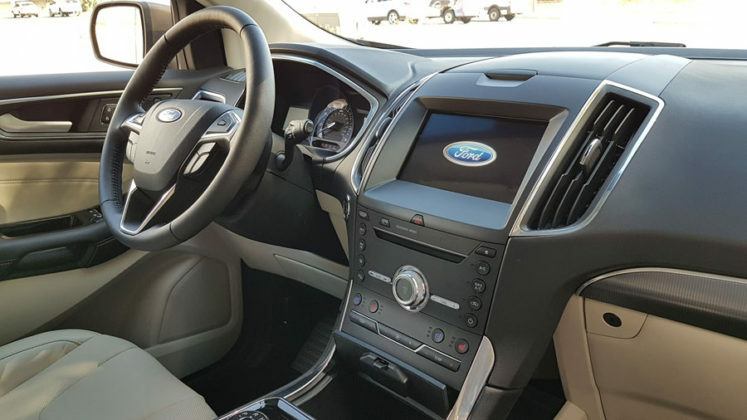 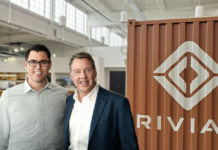 As for tech and gizmos, the FordPass Connect is standard and enables drivers to lock and unlock remotely via the FordPass app. 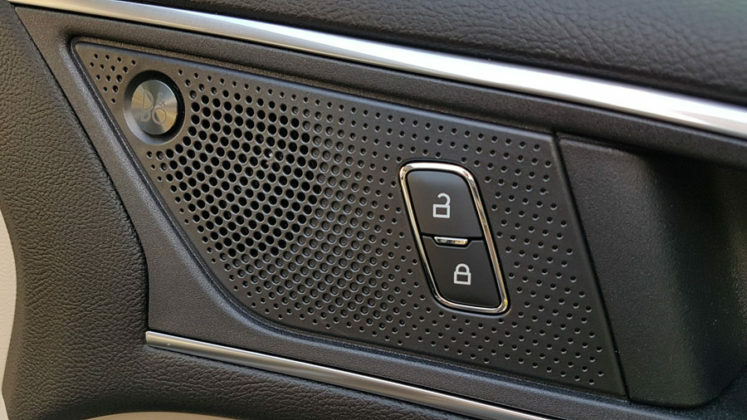 There is also a 4G LTE Wi-Fi hotspot that comes with it. 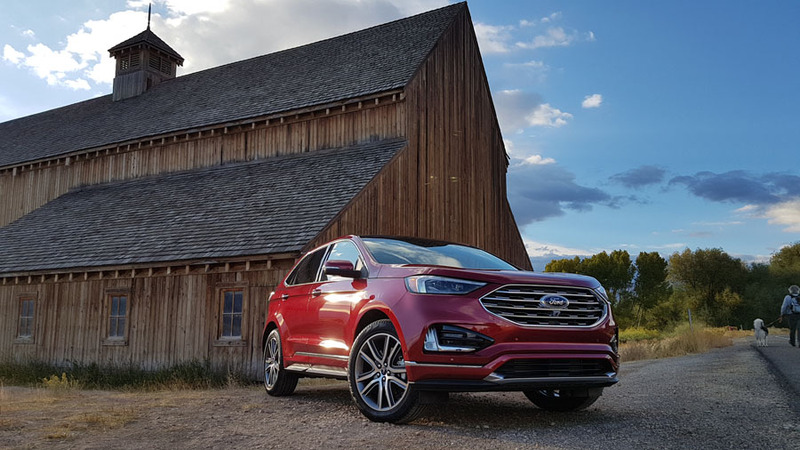 And like many mainstream manufacturers fighting for market shares in the SUV business, Ford has included more standard driver assist systems to support your essential attention on the road. 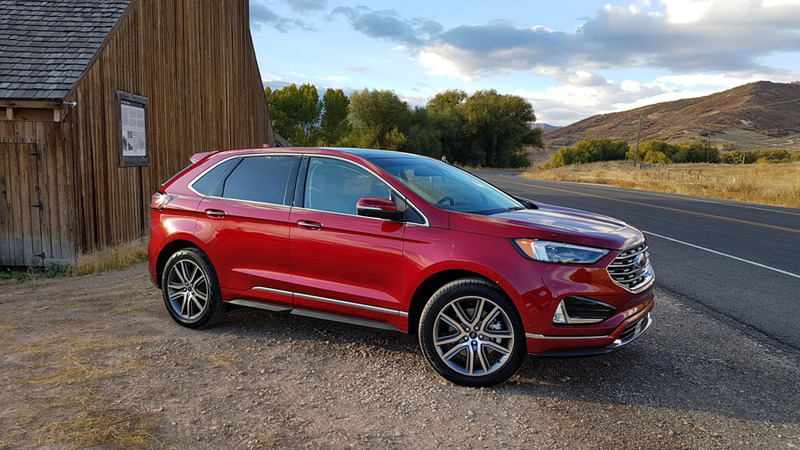 The Co-Pilot360 includes systems like pre-collision assist with pedestrian detection and auto braking, blind-spot and rear cross-traffic alert, active lane departure assist, automatic high beams, forward collision warning that primes the brakes before intervention and a rear camera. 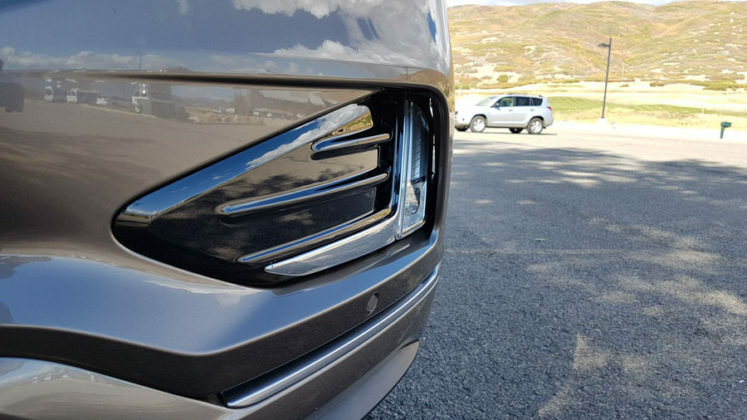 We need to mention that some of these systems worked really well during our tests, others were flakier. 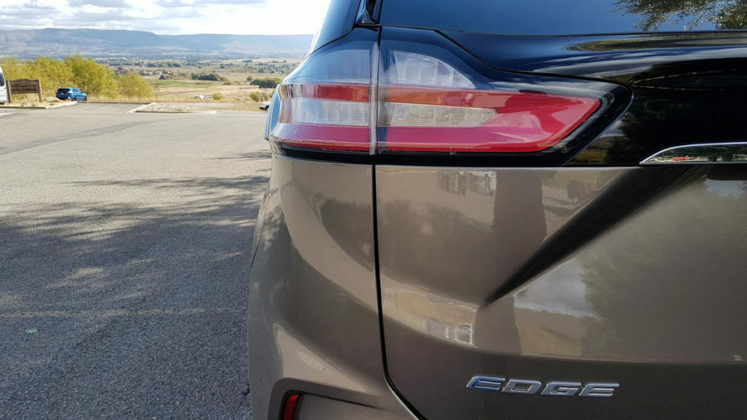 A cool feature on our Edge Titanium tester was the lane centering assist, this system acts like the lane keep assist, but in a more evolved manner. 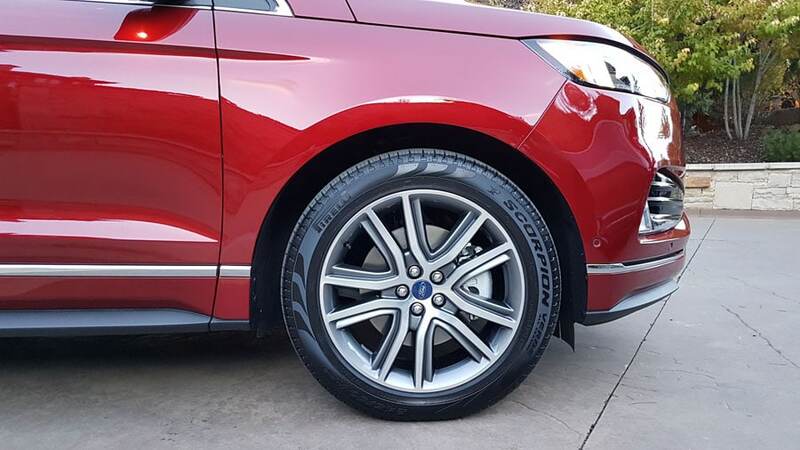 It keeps the Edge well centered between the lines – instead of just bumping it when it hits either side, when the road is clear of snow and ice, of course. 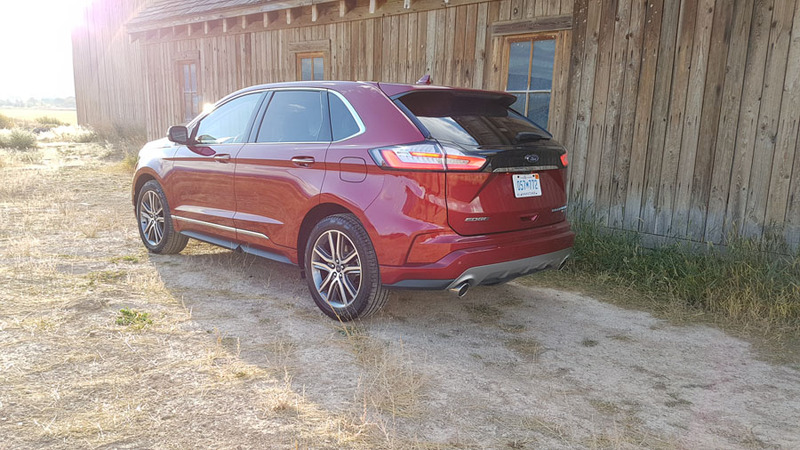 All in all, the 2019 Ford Edge should be considered when looking for a five-passenger family hauler that can tow your toys. 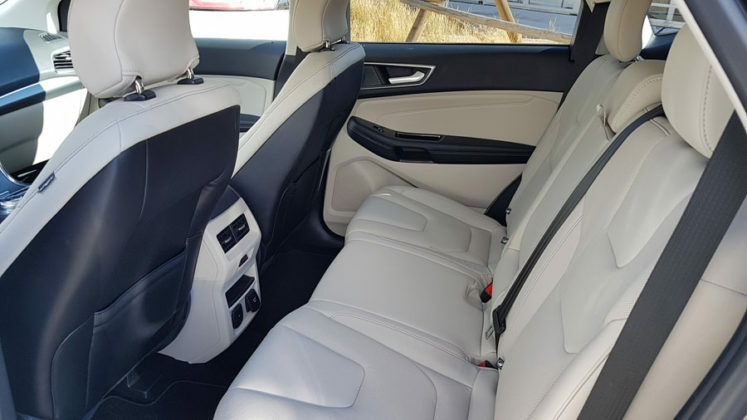 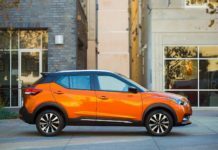 Of course, there are the a few minor inconveniences, such as the starting price and the driving position, but it does come packed with standard safety and driver assist features that make up for it somehow. 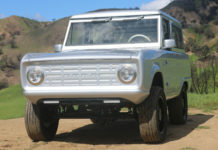 Louis-Philippe Dubé has been contributing at MotorIllustrated.com for over a year, and for the NetMedia360 network for nearly three years now. 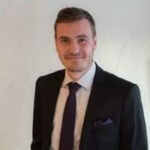 His passion for everything automotive comes from a career as a mechanic, but also from the family vehicle collection that includes a 996 Porsche Turbo and a 2004 Ford GT. 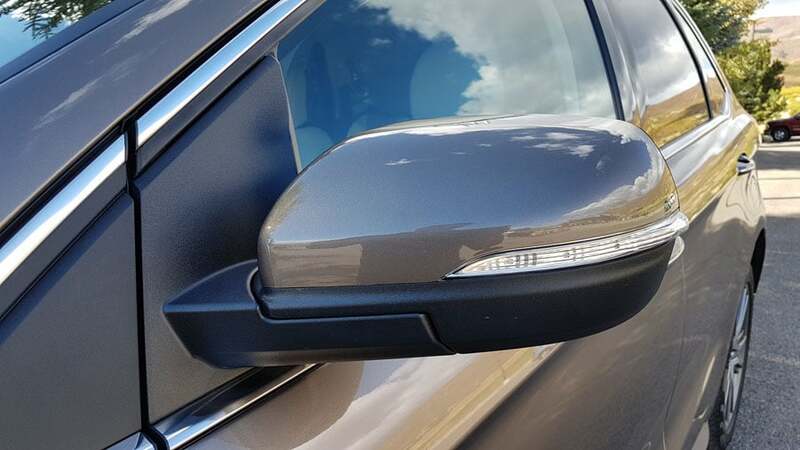 We've been bugging him to drive the GT, but he hasn't responded.